The very serious issue of gender imbalance has plagued the music industry since its earliest days. Yes, it is an industry-wide problem, but dance music in particular has faced an ongoing struggle with gender diversity for decades. So much so, that media outlets like Mixmag, DJ Mag, and Attack, as well as mainstream channels like Refinery29 and Huffington Post, have covered the issue in-depth over the years. But change is coming: Companies and organizations like SoundGirls and Spotify are pushing the diversity conversation forward, and the major labels are fighting to fix gender pay gaps. Now comes the Recording Academy, the people behind the annual Grammy Awards, which recently announced the Producer and Engineer Inclusion Initiative, a new initiative that aims to increase opportunities for female music producers and engineers. The Inclusion Initiative, launched by the Recording Academy’s Task Force on Diversity and Inclusion, “calls on any entity or individual responsible for or involved in selecting and hiring producers and engineers to commit to making hiring decisions only after considering a slate of candidates that includes at least two women,” according to a press release. It also asks producers working in the technical fields to consider gender diversity challenges when determining who to mentor and prepare for development and advancement opportunities, including hiring and promotion openings. 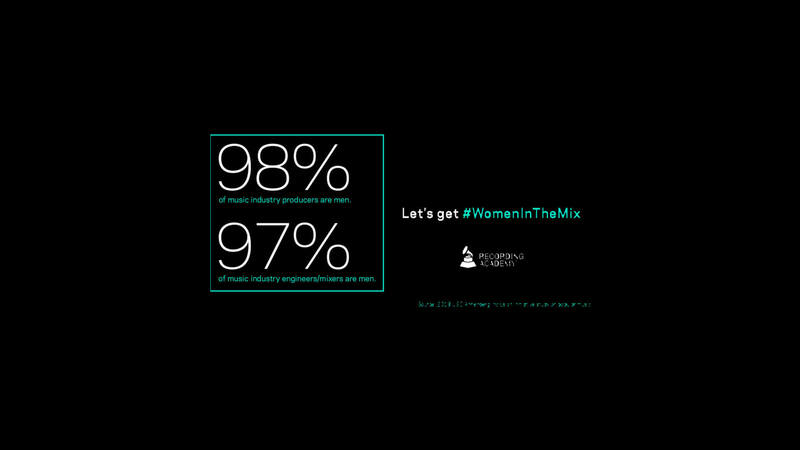 As part of the initiative, the Recording Academy has also created a webpage on the Grammy website to help identify working female producers and engineers. The website also includes useful resources and tools from leading organizations who are helping promote female producers and engineers, including She Is the Music and Women’s Audio Mission. 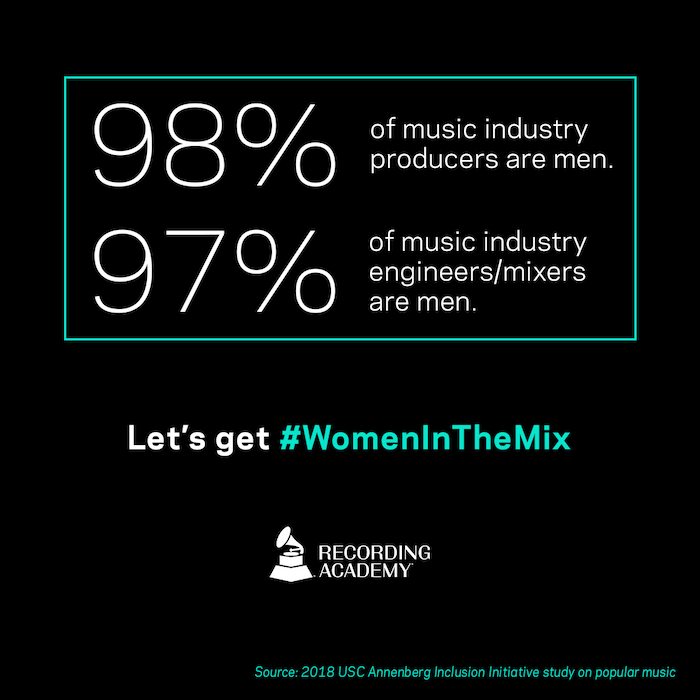 According to the Recording Academy, the Inclusion Initiative is part of a “larger strategy to address gender inequity in the music industry.” The plan follows a 2018 USC Annenberg Inclusion Initiative study, which found that only 2 percent of music producers and 3 percent of engineers/mixers across popular music are women. More than 200 artists, producers, labels, agencies, management companies, and other stakeholders have already signed on to the initiative, including electronic acts like the Chainsmokers, Diplo, Martin Solveig, and Kungs as well as major names like Justin Bieber, Cardi B, Ariana Grande, Lady Gaga, John Legend, Shawn Mendes, Nicki Minaj, Katy Perry, Post Malone, and more. View the full list of supporters on the Grammy website. Stay tuned as the Recording Academy announces future plans surrounding the Producer and Engineer Inclusion Initiative, and make sure to check out our Grammy panel happening at WMC 2019.